Want to know if there are WiFi signals around? Our WiFi watch lets you find them with a single press of a button! 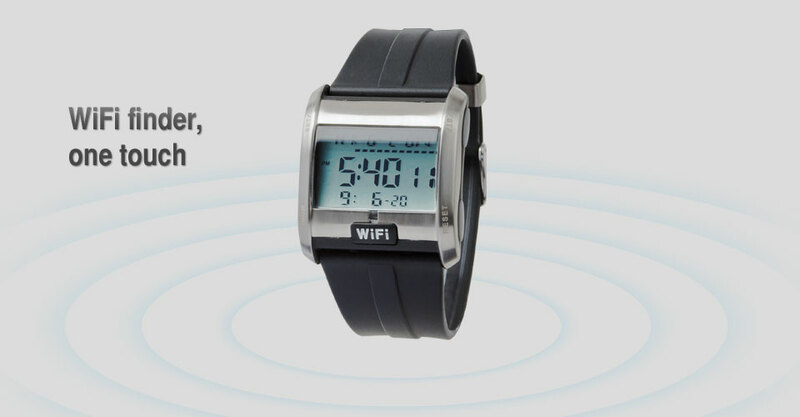 The WiFi detector watch tells you the WiFi signal strength around the area. 41 years of watch making experience, this watch is as reliable as it gets. Everything you would expect from a digital watch, no less.